This photograph shows a view of the Drug Store on Main Street in Ottawa, Kansas. 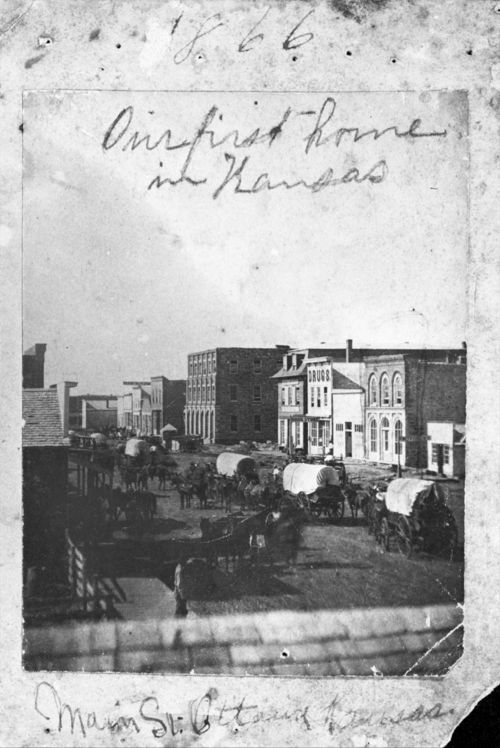 Several other business buildings are visible, along with several horse-drawn covered wagons moving along the street. Holding Institution: Mr. And Mrs. John F. Amos, Mr. And Mrs. R. F. Morris, 1958.